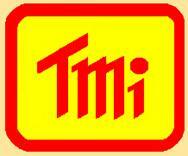 Rishabh Instruments Agent In South Africa | T.M.I. Analog/Digital Multimeter. 3 3/4. Acc. 0.25%Rdg +1D, 1000V AC/DC, 10A AC/DC, 40MOhm, 200uF, Auto/Man. CAT III & CAT IV. Min/Max,Hold, Rel. 3 Year Warranty. Digital Multimeter. 3999 Count. Accuracy 0.5%Rdg +2D 1000V AC/DC, 10A AC/DC, 40MOhm, 200uF, Auto/Man, Temp, Freq 0.001Hz to 500Hz. Hold. 3 Year Warranty. Analog/Digital Multimeter. 3 3/4. Acc. 0.25%Rdg +1D, 1000V AC/DC, No Amps, 40MOhm, 200uF, Auto/Man. CAT III & CAT IV. Min/Max,Hold. 3 Year Warranty. 500V Analog Crank Insulation Tester. Optional ITV: Voltage Measurement: 500V AC / DC. Analog/Digital Multimeter. 4 3/4. Acc. 0.1%Rdg +1D, 1000V AC/DC, 10A AC/DC, 40MOhm, 200uF, Auto/Man. CAT III & CAT IV. With Full House. 3 Year Warranty. Analog/Digital Multimeter. 5 3/4. Acc. 0.02%Rdg +1D, 1000V AC/DC, 10A AC/DC, 40MOhm, 200uF, Auto/Man. CAT III & CAT IV. Triple Display. 3 Year Warranty. 1000V Analog Crank Insulation Tester. Optional : ITV Voltage Measurement: 500V AC / DC. Analog Crank Insulation Tester. 100V, 250V, 500V, 1000V. Metal Body, Rugged Design, Collapsible Steel Handle. Analog High Voltage Crank Insulation Tester. 2,500V, 5,000V. Metal Body, Rugged Design, Collapsible Steel Handle. Combo Digital Multimeter / Insulation Tester . 50V,100V, 250V, 500V, 1000V Test Voltages. 300A with Clamps, Output to PC. Auto/Manual. 3 Year Warranty. 5000V Analog Insulation Tester. 10kOhm to 1TOhm. All Clamp meters feature: Rotatable Jaws, CAT V, CAT IV and CAT III Safety Standard Specs, IP20 dust and Water Protection, Analog / Digital Scale, Null Resistance and Null Capacitance Correction, High Accuracy on Low Current readings, Optional Backlight, Auto Power Off / Continuous On Function, Auto/ Manual selection, Data Hold Function, Duty Cycle, Min / Max Hold, Diode Reading, IP20 Dust and water Protection, Double Moulded Casing for soft touch and firm grip. The AC/DC Units are ideal for Variable Frequency Drives (VFD) and UPS, with True RMS. Backlight is Optional. True RMS Digital/Analog ClampMeter 3 3/4. 1000A AC/DC,1000VAC/DC, Freq,30MOhm, Diode,30uF, Temp, DutyCycle. Auto/Man. Low Amp Accuracy. True RMS Digital/Analog ClampMeter 3 3/4. 300A AC/DC, 1000VAC/DC, Freq,30MOhm, Diode,30uF, Temp, DutyCycle. Auto/Man. Low Amp Accuracy. 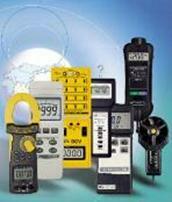 Power Quality Analyser. 5” Colour Touch Screen. Measures, monitors , Displays Harmonics, Dips, Swells, Energy. Supports 8GB microSD with Scope, Phasor Diagram etc.